Ubisoft is well aware their last iteration Assassin’s Creed Unity failed to meet fans expectations. Their most ambitious title to that point was plagued with bugs. It filled forums with people stating this was the worst Assassin’s Creed to date and critics couldn’t ignore the amount that were shipped at launch. It was heartbreaking for the developers who spent four years making the title only to hear it bashed in every corner on the Internet. Ubisoft Montreal have brought it upon themselves to develop a game that will wash away the bad taste that Unity brought and as well as transform the gameplay to deliver the best Assassin’s Creed experience to date, or so they think. Ubisoft has shot ahead in time by planting players in the age of invention, when transportation like the locomotive and medicines to treat all sorts of diseases were both revolutionary for their time. Mankind was making some exciting leaps in technology. Codenamed Assassin’s Creed Victory awhile back, the developers felt it was “time for a change” for where the company should go next with the franchise, and for a new name. 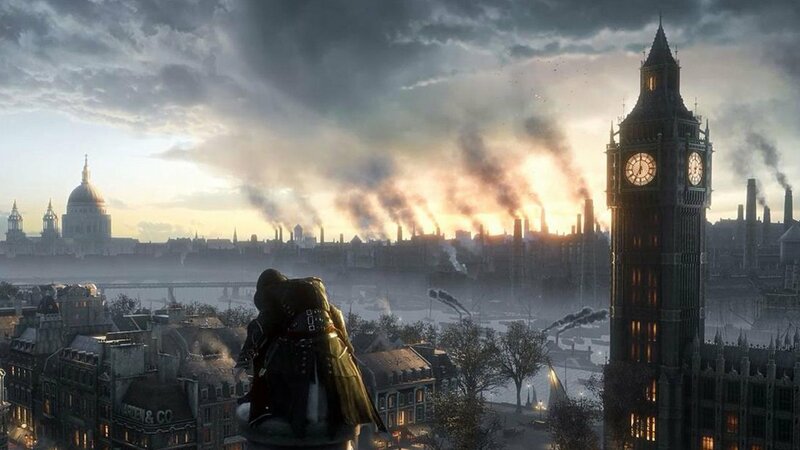 That time was 1868, London under a new name of Assassin’s Creed Syndicate. 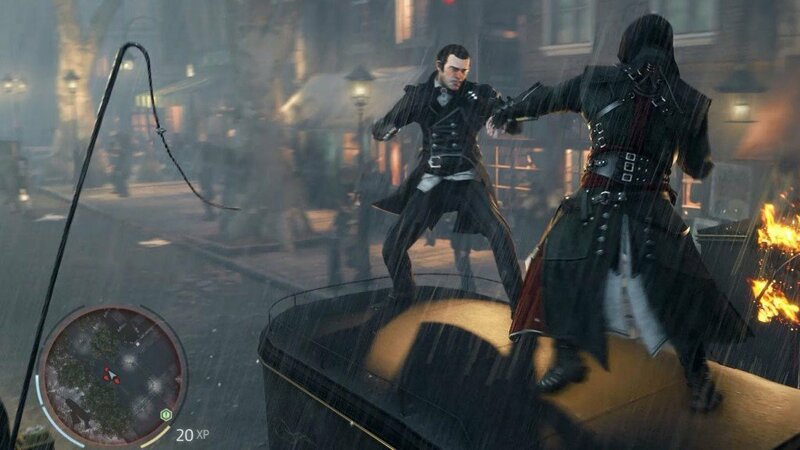 This time around, you play as Jacob Frye. He’s more brash, more confrontational, than any other Assassin’s in the past. He’s “all about the chase.” He comes equipped with what you expect but this time around there isn’t a focus on carrying a sword to dispatch your enemies because the cops will arrest you. So the main focus is making the combat more close and personal than ever before. He’s more of a brawler and that combat style reflects that. It’s more visceral, grittier and faster than previous entries. The developers promise the combat will also be more responsive than what fans have played over the years. Adding to that is the gang combat which is a first for the series. The Frye family is tasked with taking down all the other gangs dispersed all over Victorian London. The developers share what they feel is the main purpose behind developing the series. “Assassin’s Creed is all about visiting places and times that you can’t,” they’ve stated. Getting around in Assassin’s Creed by climbing and interacting with every brick is a series staple. They’re switching it up a bit with a grappling attachment found on Frye’s arm that allows him to scale up any building quickly and efficiently. He can also launch a zip line to shimmy across the city. The new “Traffic System” is a new innovation for the series. Giving players another option to get around town in a carriage, locomotive or any other vehicles. You can hijack vehicles from gang leaders and abduct them to do your bidding. Players are capable of taking over gang carriages by parkouring inside them to deliver lethal takedowns to an entire squad as they try to escape. An interesting development that came out of half hour live feed is that members of the gang will flee and that might result in new leaders trying to claim a territory back on the map. Adding that layer to the game could improve upon the formula of chase that guy and kill him to be done with it side-missions that the series is known for. It seems this time around they want the experience to be more fluid than it has in the past. More so than ever before, they have noticed the strengths and weaknesses of the series and shown their plans to improve them. Tweaking little facets of the game to build a more complete Assassin’s Creed. Now with all these ambitious ideas, we can only hope this one doesn’t ship broken as well. Assassin’s Creed Syndicate drops on current gen platforms this fall on October 23. Are you excited for this iteration of Assassin’s Creed? Let us know in the comments below.